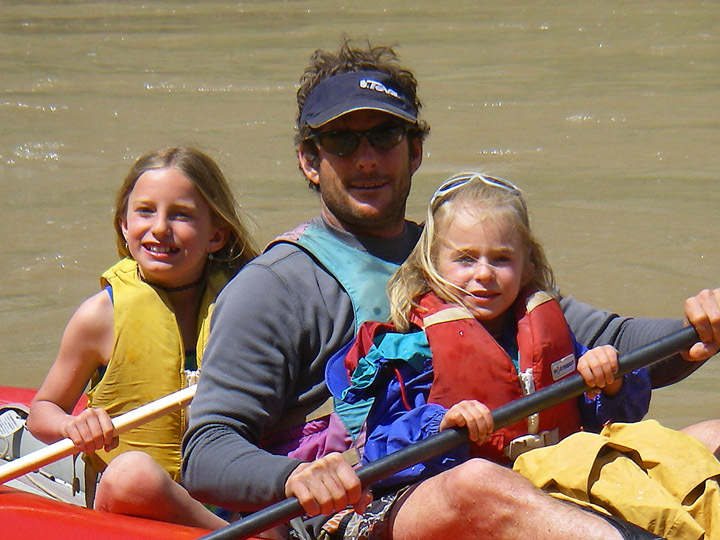 A former reporter for the Denver Business Journal and Publisher/Editor-in-Chief of Paddler magazine, Eugene Buchanan has written about the outdoors for 25 years – the last 10 of which involving kids in tow. With freelance articles published in the New York Times, Men’s Journal, Sports Afield, Outside, National Geographic Adventure, Forbes Mountain Life and other publications, his passion for traveling and writing has taken him to more than 30 countries on six continents (the number of kids in his family growing up). As testament to his dedication to both occupation and offspring, after working the Beijing Olympics for NBC he flew straight to Peru for a first descent river expedition, arriving home in Steamboat Springs, Colorado – where he lives with wife, Denise, and daughters, Brooke, 10, and Casey, 7 — just in time to coach his daughters’ soccer practice and bike home with them afterward. His first book, Brothers on the Bashkaus, was released by Fulcrum Publishing in 2007.